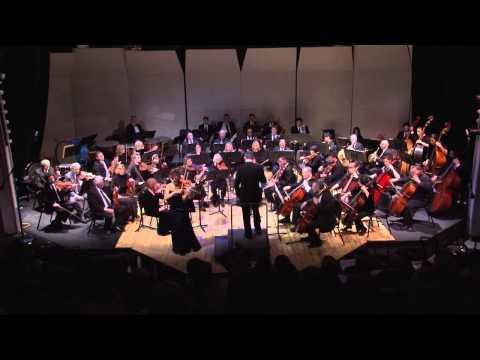 The Northwest Chicago Symphony was formed and exists so that students of Wilbur Wright College, our faculty and our community may experience the shared joy of listening to and performing orchestral music. The Northwest Chicago Symphony was formed and exists so that students of Wilbur Wright College, our faculty and our community may experience the shared joy of listening to and performing orchestral music. The collective talents of musical geniuses such as Mozart, Beethoven, Tchaikovsky and many others are brought to life seven times a year so that the students can make a connection between what they hear in the classroom and the reality of a live performance. They witness what is arguably one of the most intense and passionate co-operation between a group of people; the art of making music. Our own students prompted the formation of the NCSO; they wanted a place to play after they graduated. By forming the NCSO two things happened that benefited our students. We gave those who had spent years developing their talent for music a place to continue their acquired education. Moreover, with the addition of a stable body of local musicians, many of them our former students and presently teachers, we had a complete and stable symphony orchestra. And why not: “a great country deserves great art”, and a good school benefits from great art.